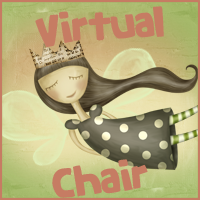 Today sitting on the Virtual Chair is Joy from Joyous Reads. 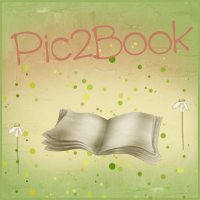 Joy is one of my favorite book bloggers out there. She's funny and her reviews are honest. If you want to follow an awesome reviewer she is your girl. Follow her on : Twitter, Facebook and Joyous Reads. My husband. :) Just kidding. I have the greatest respect for Hades; ruling the underworld can’t be all fun. Who’s your biggest fictional crush? Well, it used to be Edward Cullen...and then I realized, dude. He’s a vampire – very unattainable. So I went with the person that I think I may have a shot at...JONAH GRIGGS. [sigh] I just need to move to Australia. What’s your favorite smell and why? Oh my. I don’t think I can say it on here. Okay, okay. Keep it clean, I know. Lime – because it’s sweet and summery. I want to see Australia. Basically, I want to pick up Melina Marchetta’s contemporary works and use them as my tour guide. Hardcover. I’m a collector and paperbacks just doesn’t do it for me. I read slow on any E-reader device, so I try to avoid them. [sigh] I had Make Me Proud by Drake on repeat in my car. I know right? What’s a 37 year-old woman doing listening to Drake? Good God, woman. And to think, I don’t even like him. Once upon a time, there was this boy band from Puerto Rico that I was soooo in love with. They’re called, Menudo. I can’t believe you got me to admit that. My cool points just dropped by 4.7898%. Barbeque ribs. Blech. My husband likes any kind. I swear, he’ll plan our summer vacation around the Carolinas...or anywhere where barbeque is a staple food. I can’t stand them! Vampires. Because I hate facial hair. Thanks to Joy for answering my questions. Isn't she funny? Note to Joy: You are still cool! I love Menudo too! Thanks for having me! :) I had fun answering your questions. hehe! I was thinking the same thing. If someone asks me who's my fictional crush and where do I want to go, I'll say Jonah Griggs and Australia!